Businesses here hope the government will give them more support next year, so they can meet the challenges of improving their productivity, coping with rising land costs, a tightened manpower supply and the costs of internationalisation. Firstly, the SCCCI recommends that the government extend the lifespan of its slate of assistance schemes aimed at helping small and medium-sized enterprises (SMEs) raise productivity and develop their capabilities. Specifically, it calls on the government to extend the Productivity & Innovation Credit (PIC) grant, now valid until 2015, for another three years to 2018. The SCCCI said that the PIC is the most popular government assistance scheme among its SME members, with more than 85 per cent of respondents to its survey indicating that they were hoping for this extension. Survey respondents also said that they hope that the support level of the SME Capability Development Grant will go up from the current 70 per cent to 80 per cent. They also expressed a wish that the scope of the Innovation and Capability Voucher (ICV) would be extended beyond being used to pay for consultancy services. 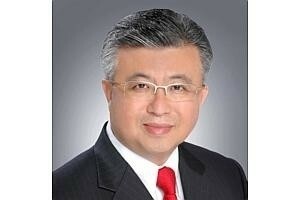 SCCCI president Thomas Chua said: "Many SMEs are embarking on their productivity and transformation journey. Given the better awareness, the government should continue these programmes and incentives, especially for small and micro-enterprises." Secondly, more than 80 per cent of the respondents hope that the government will help them with land costs, with the SCCCI recommending that the government, particularly the JTC Corporation and the Housing Development Board (HDB), provide SMEs with affordable industrial and commercial space or rental rebates. It said that current government land policies favour high-growth sectors and tend to crowd out SMEs. The SCCCI's third recommendation is that the government give assistance by expanding manpower resources and helping companies retain their productive workers - even as companies have accepted that they should rely less on foreign workers. Companies say that they hope the government will provide Medisave top-ups or rebates for older workers so employers will get help with defraying medical costs and be encouraged to hire workers above 55 years old. The SCCCI also urged the government to extend the validity of work passes for foreign employees to four years at each renewal, from the current two years; it pointed out that this would help companies retain their productive workers and reduce the administrative costs of renewal. And finally, the chamber for Chinese businesses called on the government to provide SMEs with a relocation grant which can be used when they relocate or venture overseas. Existing schemes for internationalisation are not targeted at SMEs, it said. For instance, the Land Productivity Grant (LPG) benefits only larger companies that can generate at least 0.1 ha of land savings. Overall, businesses were more optimistic about the business outlook for next year than this year, although they recognise that the business environment remains challenging. Just over three in 10 (32 per cent) of the survey respondents were upbeat about the coming year, compared to 15 per cent for this year. Relatively fewer businesses were pessimistic about the outlook for 2014 - 48 per cent, against 54 per cent for this year.